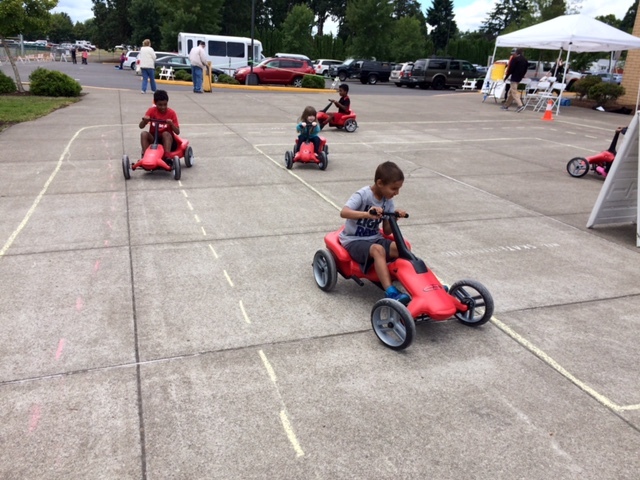 This year’s SOOR event at Newberg High School was a hit for the Pumper Car! Kids and adults of all ages sat down and took off for their first ride on a Pumper Car. We set up our track with cones for a little obstacle course for added fun! The Pumper Car testers had a blast trying to be the first one around the cones. It was a joy for us to see how happy moving along and getting a workout made them. One sweet family had twelve children, four with special needs. The overjoyed mom of this family did an interview for us after her children had spent over an hour playing on the Pumper Cars. Check out our Instagram page for this interview soon! We are proud that the Pumper Car is “The ride that emPOWERs kids of ALL abilities”. Remember if you purchase a Pumper Car in the month of July part of the proceeds go to Special Olympics Oregon! We hope you can join us for our next SOOR event!